MUMBAI: Following a tradition that started in 1982, to encourage amateur musicians to come out and perform on the streets of France, this year, on 21 June, known as Fête de la Musique, the French Embassies worldwide, have joined hands to celebrate the day with concerts and music workshops in their respective regions. 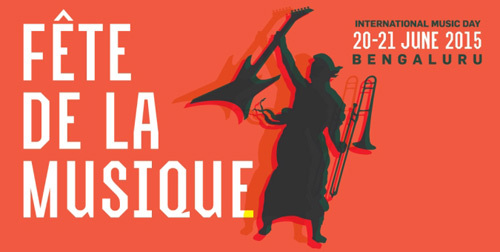 Alliance Française (AF), the international French language and culture promotion organisation, in association with the French Embassy, is organising a countrywide celebration of Fête de la Musique (#FDLM) in India with a slew of events across 11 of its centres in the country. 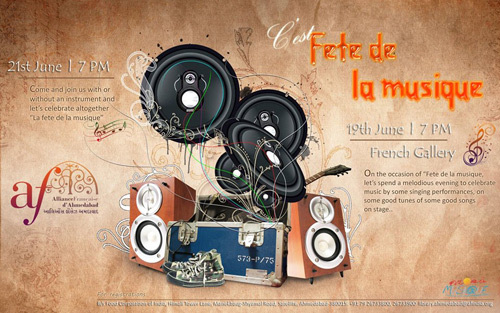 While at some centres, Fête de la Musique will be a day-long celebration held on 21 June, other centres will have celebrations that last up to four days. In Bangalore, AF is conducting a full-fledged music festival to celebrate World Music Day on 20 and 21 June 2015. This year, the event will be celebrated across 16 venues, including Namma Metro, Humming Tree, Toit, Warehouse, Blistering Barnacles, Octavium, Goobe’s, Big Pitcher, M.G.Road, Bangalore School of Music, Church Street Social and SAIACS Ceo Centre. Planning for the Fête de la Musique celebrations in Bangalore started back in January, said Alliance Française de Bangalore Cultural co-ordinator Prutha Narke. “We started work on this in January. We knew we wanted to go big this year, which is why we started talking to various venues early on, and we received positive responses from most of them. We also contacted the Bangalore metro stations to find out if they would allow us to conduct some of the celebrations there, but they had already started planning on their end. When they said yes, we were very surprised and very encouraged,” said Narke. Meanwhile, Alliance Française de Bombay (AFB) will be conducting workshops, contests and concerts, in association with Furtados School of Music, Natural Streets for Performing Arts and blueFROG. On 19June, the Furtados School of Music rock band and its students will perform at blueFROG as part of the celebrations. The following day, Furtados School of Music will conduct two workshops; one for vocals and the other for guitar, at the Alliance Française Auditorium and the Furtados School of Music, respectively. Singers and artists from National Street for Performing Arts (NSPA) will also perform on 20 June at the Alliance Française Auditorium. Speaking on AFB’s Fête de la Musique celebrations, Alliance Française de Bombay Cultural co-ordinator Thomas Bellamy said, “We are celebrating Fête de la Musique, and this year, we are extremely happy with our association with Furtados School of Music and NSPA. We have been talking to them since March. Through this fête, we want to encourage all amateur musicians and semi-professional musicians in Mumbai to come out and perform and show their skills.” He further added that after Fête de la Musique, AFB has plans to conduct art, photography, poetry and theatre workshops for its new 'Monsoon Project'. On 21 June, the Alliance Française de Chandigarh will conduct a contest in which participants will have to sing a song in French, while Alliance Française du Bengale has plans to hold concerts across various venues in Kolkata. Meanwhile, Alliance Française d’Ahmedabad is inviting anyone who knows to play an instrument or can hold a note to show their abilities. Alliance Française de Pune and Alliance Française of Hyderabad will conduct performance concerts in collaboration with Goethe Institut/Max Mueller Bhavan, in their respective cities. As part of their World Music Day celebrations, Alliance Française de Pondichéry will showcase three hours of films and visuals celebrating the best of jazz. Alliance Française de Bhopal will conduct a two-day music festival with rock band Then & Now, scheduled to perform on 20 June, and salsa/latin jazz act The Latination featuring Megan Powers, scheduled to perform on 21 June. Alliance Française de Trivandrum will conduct an open stage for budding musicians to showcase their work on 21 June and 27 June, with a band line-up being planned for the latter date. On 21 June, Alliance Française de Delhi will have performances by local acts across various venues around Hauz Khas Village. The theme for this year’s Fête de la Musique is ‘Vivre ensemble la musique’ (Living together with music), to illustrate how music can bring people together and to show them how music can bring freedom and peace. To showcase the same, the logo this year features the silhouette of a woman with musical instruments in her hand. It is that of a famous painting of Marianne, a woman who symbolises freedom and leads the people over bodies of the fallen, holding the flag of the French Revolution.